When you’re looking for a dental practice for yourself and your family, it’s essential to find a team where you know you are in excellent hands. 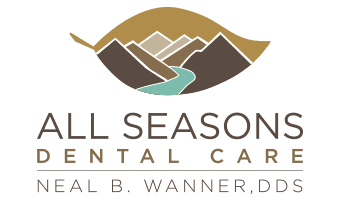 Since we have more than 30 years of experience, you can trust All Seasons Dental Care for all your dental needs. We believe you are never too old to have the smile you’ve always dreamed about. From tiny tots to senior citizens, we cater to the oral health needs of patients of all ages. We see a lot of high-fear patients and make it our goal to change their experience of dentistry. We treat our patients as an extension of our family. Our practice has the latest dental technology, and our staff members are well-trained in their use. We also utilize only modern, proven treatments and procedures to restore and maintain oral health. We offer several treatment options, and work with you to determine what will be the best approach to help you attain excellent oral health and an amazing smile. We genuinely care about our patients. We take the time to get to know each and every person that walks through our door. It is fun to see the kids come in over the years and watch how much they’ve grown by whether or not they can still walk into the playroom without ducking under the kid-size doorway! Dr. Wanner and our team look forward to starting you on the path to excellent oral health and beautiful smiles. Contact our Kent, WA office to schedule an appointment!